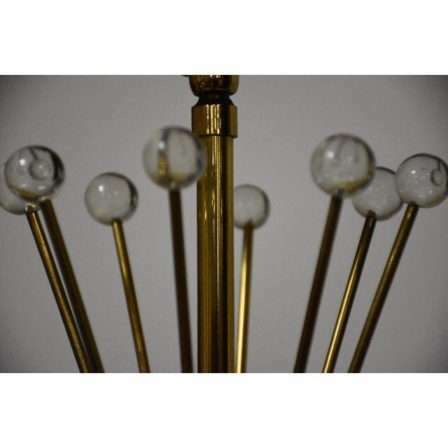 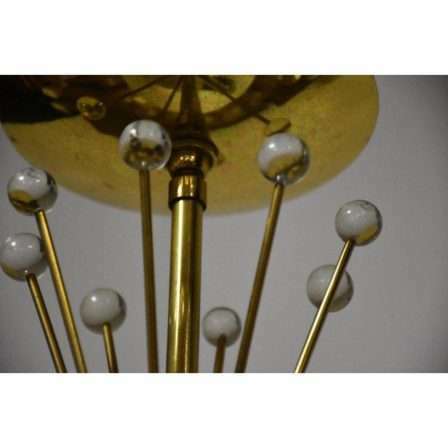 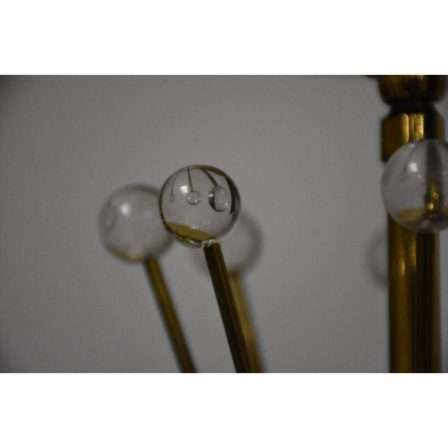 Description: This two light mid century modern 60 W ceiling fixture has radiating brass rods capped with crystal spheres which adds verve to this design made by Lightolier and designed by Gerald Thurston. 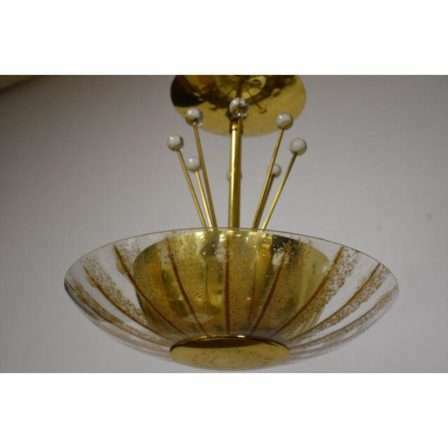 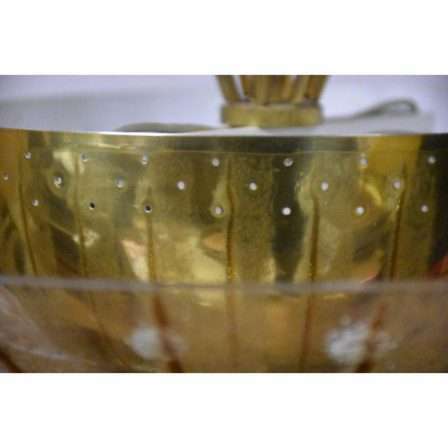 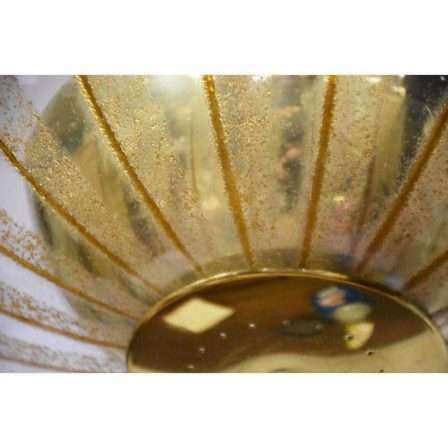 The pierced brass bowl is encased in a shell of edged-lightens Claremont glass. 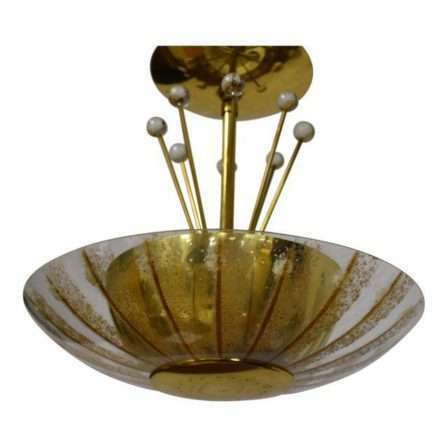 This piece would go great in bedrooms, dining areas, reception rooms, or foyers.